to go. Although I have been a member of ICA for many years I really had no idea what to expect at the convention and thought that, at best, I would tire of it rather quickly and wind up making forays into the downtown district to get away from the intensity of All-Clarinet-All-The-Time. something of a hardened professional but I was completely and utterly blown away by the playing of Ricardo Morales, Benjamin Lulich (whose rendition of Weber’s Eb Concerto was absolutely astonishing) and Jonathan Gunn. At the master class given by Oberlin’s Richard Hawkins I was reminded of how great teachers can really connect with students and alter their playing for the better with just one perfectly phrased suggestion. Last but not least were the exhibition rooms. Display upon display contained every conceivable piece of equipment from the top of the line clarinet to the tiniest accessory. 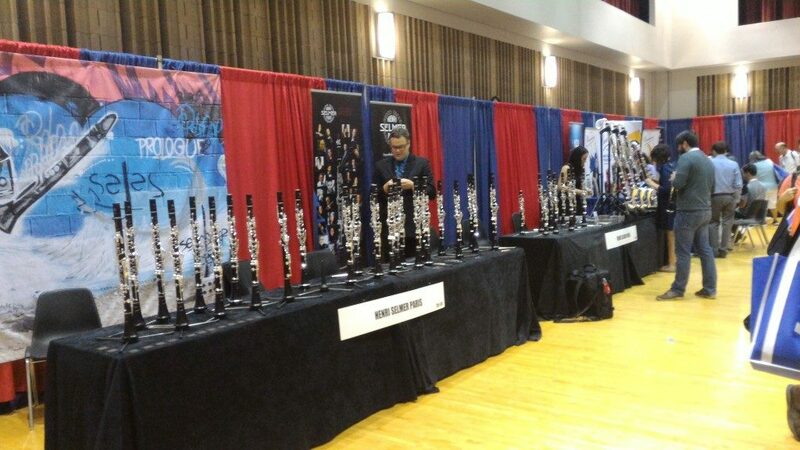 Buffet, Bakun, D’Addario, and Vandoren representatives were all there as well as smaller independent dealers. The cacophony of orchestral excerpts, Mozart concerto phrases, and “noodling” created a (surprisingly) not unpleasant sheet of white noise that only ceased when those rooms closed down for the night. I saw old friends and made new friends. And at next year’s convention I will know just what to expect.